UCSF Library Archives and Special Collections has 2 new internship opportunities. The San Francisco Bay Area’s Response to the AIDS Epidemic: Digitizing, Reuniting and Providing Universal Access to Historical AIDS Records. The Archives Intern for AIDS History will be assigned various tasks to assist in completion of the project including performing Quality Control checks on digitized papers, digital objects and metadata. Candidate should be a student or recent graduate from a library or information science program, preferably with a concentration or interest in archives and special collections. Students of public history, and history of health sciences are also encouraged to apply. This is a part time temporary appointment. The 127,000 pages from the three archives range from handwritten correspondence and notebooks to typed reports and agency records to printed magazines. Also included are photographic prints, negatives, transparencies, and posters. The materials will be digitized by the University of California, Merced Library’s Digital Assets Unit, which has established a reputation for digitizing information resources so that they can be made available to the world via the web. All items selected for digitization will be carefully examined to address any privacy concerns. The digital files generated by this project will be disseminated broadly through the California Digital Library, with the objects freely accessible to the public through both Calisphere, operated by the University of California, and the Digital Public Library of America, which will have an AIDS history primary sources set. Ability to lift boxes weighing up to 40 pounds. The timing of the internship is flexible, but should be carried out during the Fall of 2018 and ending early Spring 2019, based on applicant and institutional commitments. Up to two 8-hour days per week for 10-12 weeks. Work will be performed onsite at the library, though offsite work is possible. A stipend of $15/hour is available for the internship. Testing digital forensics and processing hardware and software being implemented in the digital forensics lab. Compiling inventory of physical archival collections containing digital media, and pulling collections and identifying, counting, and cataloging digital media present. Disk-imaging digital media removed from collections and transferring data to library storage systems. Creating metadata about digital media being processed in digital forensics lab, editing metadata for various digitization or cataloging projects. Operating scanning equipment to digitize archival collections for patron and researcher use. Processing digital collections under the supervision of the Digital Archivist, including finding aid and container list creation and manipulation of access copies of born-digital content to create access-ready versions of collection. Researching computer tools and systems for management and preservation of digital objects, and compiling and reporting on capabilities, requirements, dependencies, etc. of these utilities. Participate in staff meetings, assist with writing blog posts, and help with reference/duplication requests. Familiarity with scripting, computer programming in any language, Unix. A stipend of $15/hour is available for the internship. The internship is intended for those who are currently enrolled in an undergraduate/graduate program. Up to two 8-hour days per week for 10-12 weeks. Specific on-site hours are negotiable, but must be completed between 8:00 a.m. and 5:00 pm Monday through Friday. Start and end dates are flexible. The UCSF Library is committed to a culture of inclusion and respect. We embrace diversity of thought, experience, and people as a source of strength which is critical to our success. We encourage candidates to apply who thrive in an environment which celebrates and serves our diverse communities. UCSF Archives & Special Collections is a dynamic health sciences research center that contributes to innovative scholarship, actively engages users through educational activities, preserves past knowledge, enables collaborative research experiences to address contemporary challenges, and translates scientific research into patient care. October is American Archives Month, and UCSF Archives and Special Collections is celebrating with a number of events in the coming weeks to showcase our work as custodians of Health Sciences and UCSF History. Pose your burning questions and curiosities about our collections, services and archives work in general. 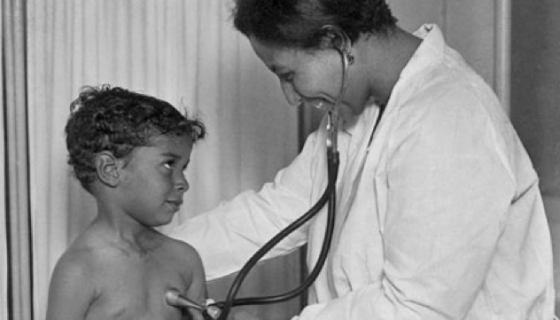 Join UCSF Archives & Special Collections as we explore the little-known history of African American women physicians’ careers in medicine from the mid-nineteenth to mid-twentieth centuries. Through an extensive survey of the careers of all known African American women who practiced medicine in this period, a complicated portrait of both accomplishment and constraint emerges. This talk demonstrates that black women physicians succeeded in carrying out their demanding “missions” of attempting to address what we currently term “health disparities” in African American communities. Simultaneously, however, professionalized, scientific medicine in the twentieth century increasingly limited career opportunities available to black women physicians. Meg Vigil-Fowler, PhD is a historian of medicine who studies the intersecting histories of race, gender, and professionalization in the nineteenth and early twentieth centuries. She received her PhD from UCSF’s Department of Anthropology, History, and Social Medicine earlier this year and is currently writing a book on the earliest African American women physicians. Renee Navarro, MD, PharmD is the Vice Chancellor of Diversity and Outreach, charged with creating and maintaining a diverse university environment where everyone has an opportunity to excel. In her new role, Navarro will collaborate with faculty, staff and students to develop and carry out a strategic plan for diversity and inclusion at the campus – and in recruitment and retention of faculty, students, trainees and staff. Aimee Medeiros, PhD is an Assistant Professor, History of Health Sciences at UCSF. Medeiros’s work focuses on the reciprocity between diagnoses, preventive care measures, and societal expectations of the body in medicine. Medeiros’s current projects include, Too Young to Die: The History of the Children’s Hospital in the U.S. and Health Sciences Data Laboratory (HSDL), which will complement Big Data efforts by generating historical medical data preserved from non-digital formats. Join UCSF Archives & Special Collections, California Historical Society, San Francisco History Center, Society of California Pioneers, and Labor Archives and Research Center at San Francisco State University for San Francisco’s second Archives Crawl. The theme for the Archives Crawl is Immigration and Migration to California and we are celebrating in October, which is Archives Month! Archives Crawl is designed to celebrate archives in the city and encourages guests to explore and engage with institutions that collect archival material. Visit institutions you may not have visited before, pose questions, learn more about what an archive is and what archivists do. More details visit the San Francisco Archives Crawl site. Get in the Halloween spirit and join UCSF Archives and Special Collections on October 31st and view selected pieces from the historical collections in the UCSF Library 5th Floor Reading Room. You will see “medical oddities” of the past including surgical kits, bloodletting tools and more! Also make sure to drop by the Makers Lab Haunted House anytime from 10am-6pm.